I had just one question when I went to the Yas Marina to drive the new Porsche 911. If the entire range of 911 is now force fed with a twin turbo system, what's so special in the 911 Turbo! And that is a question I'm very eager to get an answer to, in the flesh! For now I'm just as keen to sample the 911 Carerra and its sibling with the 'S' suffix, both powered by the new twin-turbo charged 6-cylinder flat six motor. It's a bit tricky calling the 911 new because it's actually a mid-life facelift. But it's got a bit more power, and there's a bit more done to the mechanical package to enhance dynamics and ride, and there's a bit more refined in the exterior package to optimise aerodynamics, and there's something more inside the car to enhance driver comfort and luxury. Porsche is still traditional in its ways, so it won't claim this is substantially new. Several of these changes you will barely recognise unless you look real close, but there are changes, take my word for it, or take Porsche's word for it, they don't fib! Still doubt it, then there's just one way to verify the changes. Slip it into first gear and STEP...ON...THE...GAS! The 911 Carrera and even the S shoot-out of the pit lane like there's no tomorrow. 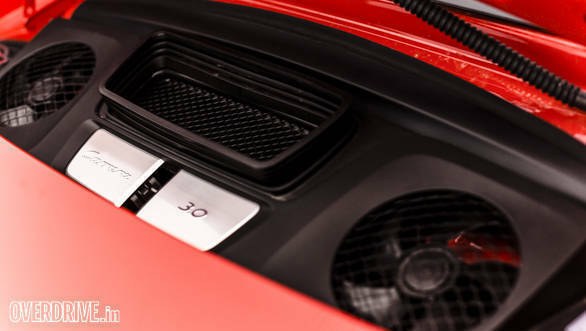 Turbocharging has added 20 more horsepower to the final output in both cars, so the Carrera now makes 370 horsepower while the Carerra S peaks at 420 horsepower. However, the new 911 range uses a downsized engine, from 3.4- and 3.8-litres for the Carrera and Carrera S, respectively. They will all henceforth use a smaller 3.0-litre Boxer engine. It's all in the interests of efficiency Porsche says, but I've still to meet a Porsche owner who does not fill his tank at least twice every week! 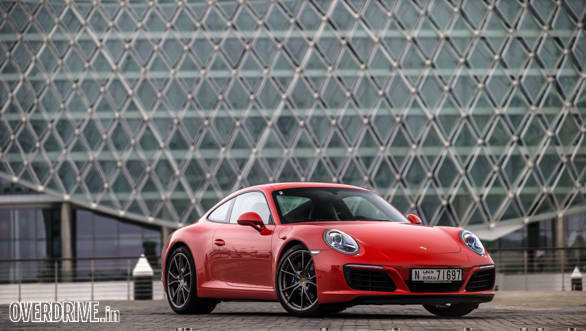 Undoubtedly, the Carrera S is the car everyone runs to, but the Carrera itself is no slouch. It's a brilliant companion to someone looking at an everyday sportscar  easy to drive, light and nimble. 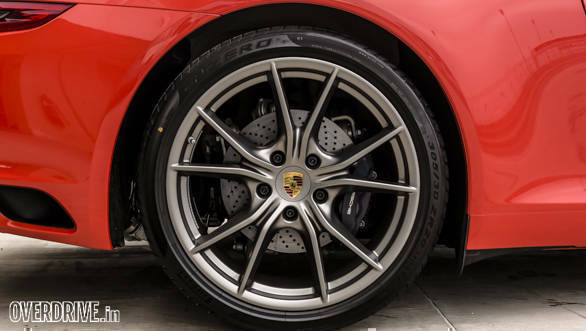 With Porsche Active Suspension Management coming in as standard, things are a lot sweeter. I sampled both and I loved the Carrera. 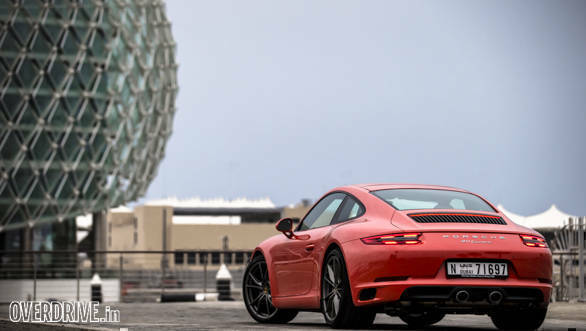 Its power output is much more manageable, and when you want to poke your tail out, the 450Nm of peak torque will let you do it far easier than the much more violent Carrera S. The Carerra S for all its violence is the quicker car here. 0-100kmph is registered at 4.1 seconds for the PDK version, that's two tenths of a second quicker than the older car. Even the Carrera is quicker than its predecessor by nearly a tenth of a second, registering 4.4 seconds to a 100kmph. The Carrera S takes some getting used to. It's meaner, more vicious, and the power delivery feels more direct and less linear! It's a series of small explosions that you're constantly trying to control with your brake pedal and steering wheel. It helps that the car I drove had rear wheel steer, which is an expensive and optional feature by the way, but I'd still recommend those of you buy the car to opt for it. Honestly though, I couldn't really make out the difference (I'm hoping that is a good enough excuse to get another go in the car). What I do know is that it turned in faster at higher speeds than what the Carrera was capable of. 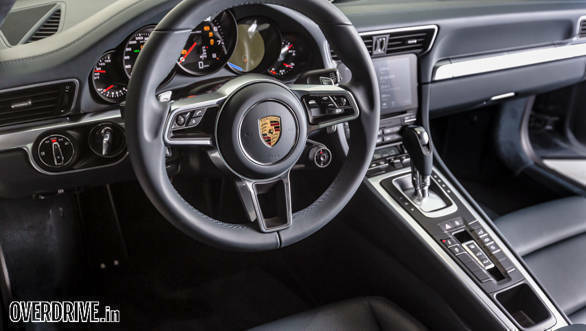 What further makes the 911 more interesting is the Ferrari-styled manettino on the steering wheel that allows you to select a variety of driving modes, from plush to flash! And then there's that tiny little button that gives you a few seconds of boost, for those street light drags. It works beautifully and don't be surprised if you suddenly see the 911 cruising next to you shriek away in a blaze of fury! 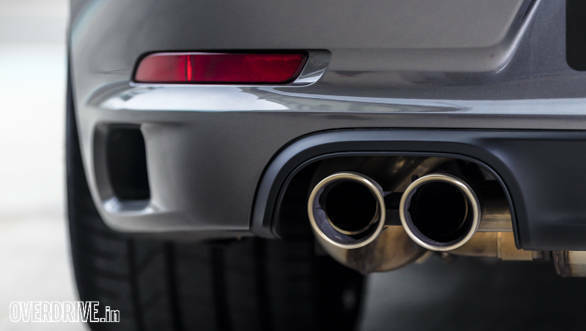 Well shriek would be wrong, but the new 911 has new plumbing that is louder not as much racier. It's still not satisfying enough and almost feels like Porsche got something wrong! Or I guess we are just spoilt for choice by more epic sounding cars like the F-Type SVR and the Huracan. So, there is still something for the new Porsche to match up to! The 911 has moved ahead with the times, and it's done this in spectacular fashion. It's improved on the character of old. Purists may abhor Porsche letting go of its naturally aspirated legacy, but turbocharging is what will keep this gem alive, ticking and kicking! As for what happens to the 911 Turbo, well let's just say it's going to be something spectacular.